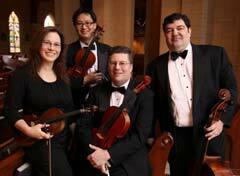 Stress-free and affordable wedding music. Please click to watch free videos! Known as "The DJ that plays the Trumpet", Chuck will help you to create a beautiful ceremony and an exciting & unique reception celebration! 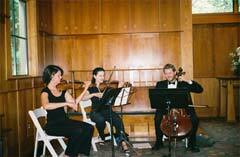 Trio of two violins and cello. Preferred vendor Graduate Athens Hotel and familiar with venues at UGA. 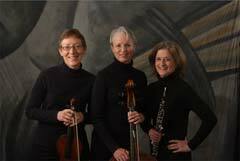 We perform in Athens, Madison, Lake Oconee. Contact us for details and a quote for your ceremony. The Moxie Band is Atlanta's most requested party band, performing over 50 weddings a year in Atlanta, and all over the East! 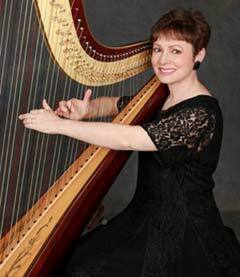 Beautiful and professional harp music by Dania M. Lane. 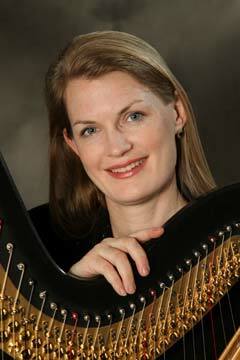 Customized Harp Playlists for your Wedding! Make your ceremony music as special as your day! Why hire an average Dj when you could have a wedding exclusive DJ?